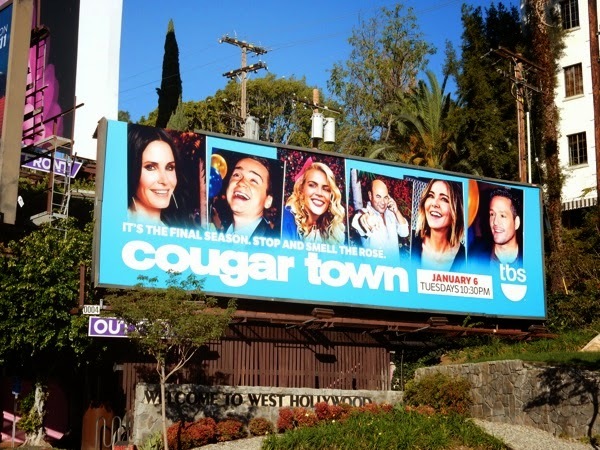 Get ready to take your last sip of Cougar Town, as the Courtney Cox helmed comedy comes to an end this year with its sixth and final season. This Florida cul-de-sac sitcom has defied the odds to make it to season six, even switching networks to keep the laughs and red wine flowing for 'Jules' and her friends, family and neighbours. 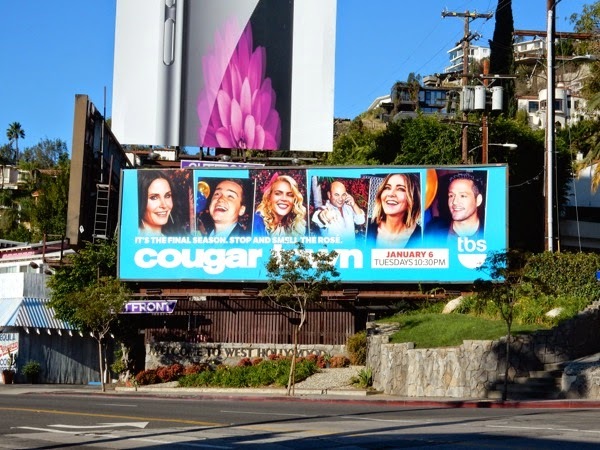 Is it just us, or are there a lot of series coming to a close this year, from Cougar Town to Justified, Mad Men to Glee and The Kroll Show. 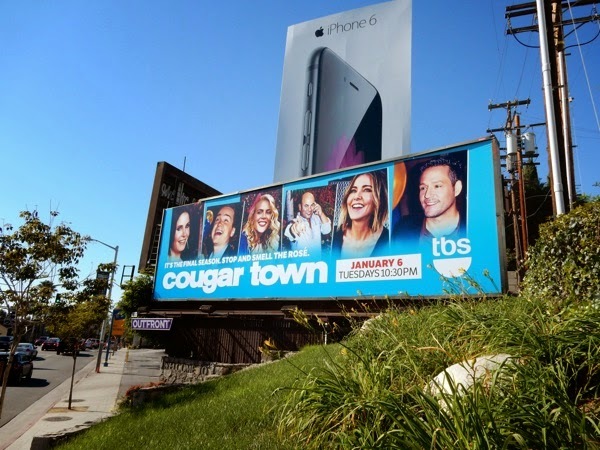 Sounds like there'll soon be a glut of new shows to take their place. This is your last call ladies and gentlemen, raise your glasses and be sure you take the time to stop and smell the rosé before it's too late. 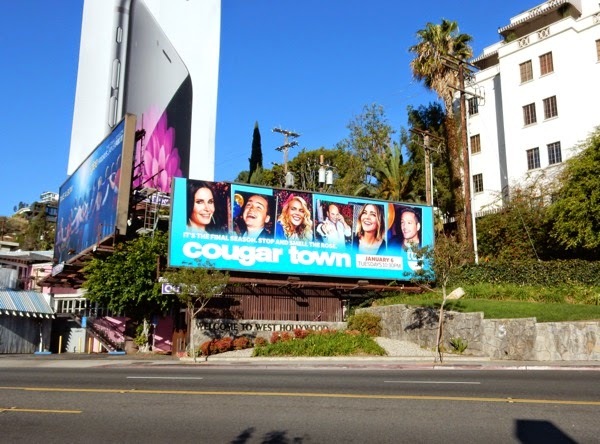 If you're a fan of the show, be sure to check out these previous season promo billboards for Cougar Town. Enjoy this final batch of episodes before they become a fine vintage in syndicated re-runs.